Everyone is raving about high definition although not everyone may know exactly what it is or how it works. High Definition is a superior digital quality that boasts a 16:9 aspect ratio which means that the screen is wider than it is tall. It is meant to mimic the the experience one would undergo at a movie theater. Aside from the aspect ratio, HD also provides a crystal clear and quality picture. That is achieved because HD offers a higher resolution by using more than 2 Million pixels. A pixel is simply a very small point on your TV that holds a very small piece of an image. The more pixels you have the more detailed the picture on the screen is. By comparison, a standard definition TV uses about 500,00 pixels (way less than half of what an HD TV offers). In order to view something in High definition, an HD receiver, HD programming, and an HD TV are required. The HD receiver must be provided by your cable TV company, like the receivers provided with Xfinity TV service. Once you have your HD receiver (with or without DVR functionality), you must subscribe to the HD programming service from the same cable company. Some offer the service at no additional cost. Some require an H programming or access fee but promotions may be available to get this particular service for free. Those channels that are available in HD are usually duplicates of the standard version. For example, channel 3 is ABC in standard definition but channel 403 is ABC in high definition. 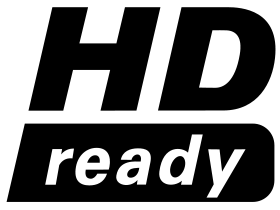 In order for a channel to be available in HD the network that owns the channel has to use HD cameras to film shows or movies. Finally, you need to purchase your very own HD TV. HD TVs come in different levels from 720i, 720p, 1080i, to 1080p. An HD TV that is 1080p is the best of them all and is closer to blue ray quality than any of other other levels. Make sure to talk with an employee in the electronics store/ department to get a better explanation of what would be better for your preference and for your budget. Hopefully, this information was helpful in getting you caught up with the HD phenomenon.